What comes to mind when you hear the word “raw” food. My first visualization was raw sushi (my son loves and I’m trying to like)! YourDictionary.com defines raw foodist as: one who eats a diet made up primarily or wholly of uncooked vegetables, fruits, seeds, and nuts. You don’t need to switch 100% to eating raw foods. Start off slowly adding a few to your diet and begin reaping healthy benefits of more energy and natural healing. 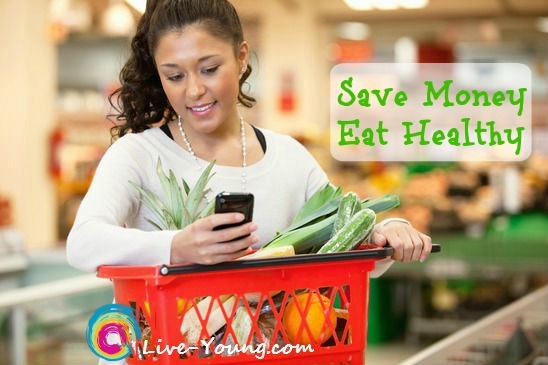 Want to save money while grocery shopping? I’ll share more about that too! To get started on a healthier you, here’s a list of my favorite raw foods! Feeling tired and run down all the time? Ready to have more energy? 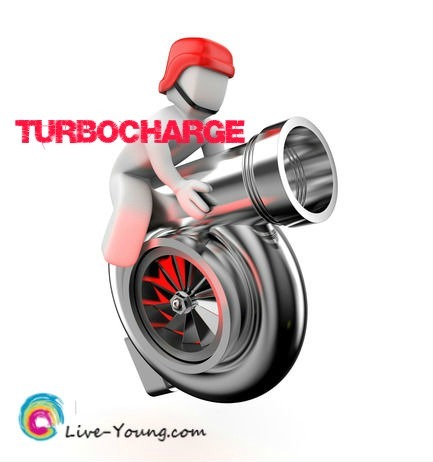 Let’s turbocharge your body’s defense system and get your immunity in peak condition now! Sure we all overeat sometimes, especially at Thanksgiving dinner. 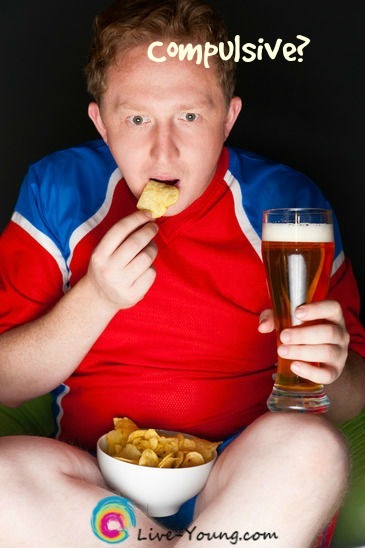 Compulsive or also known as binge eating is when you use food to cope with stress, fear, boredom, loneliness and anxiety. When you are having a bad day, food can seem like your only friend. You can overcome and free oneself from compulsive eating by developing a healthier relationship with food. Healthy eating is based on meeting your body’s nutritional needs and not your emotional needs. Choose healthy foods when eating out. Write out a weekly healthy meal plan and shop with a grocery list to avoid buying unhealthy junk food. Sit at the table for all meals including snacks with the intention of being in view of others! Limit distractions while eating. Turn off the TV, don’t read the newspaper or book, put away the computer and smart phone. Take time to enjoy food and chew eat bite thoroughly. This will help slow down your food consumption. Find ways to manage stress with physical activity, meditation, yoga and breathing exercises. Eat when you are hungry and stop eating when you feel satisfied not when you are stuffed and miserable. Listen to your body and rumbling tummy as a signal of when to eat. Just don’t buy it! Avoid temptation and keep junk food, buffets, fried foods, soda, cookies, desserts and chips out of the house and out of your life. Clean out the fridge and pantry now! Get plenty of sleep each night. It’s one of the most important things you can do for your body. Feeling tired during the day, take a nap to feel refreshed rather than eating to boost your energy. Stop dieting! Depriving your body of food triggers food cravings and the urge to overeat. Eat 3 healthy meals a day with 2 healthy snacks in between to feel content and full all day long. Find a hobby instead of snacking when you are bored. Take up gardening, walking with a friend, reading, golf or anything else that gets you out of the house and active! Ask for help from your family and friends. By telling someone increases your success to healthier eating. Consider hiring a passionate health coach to help guide you to your goals. See my pins on Pinterest including healthy recipes I’m trying! “Like” Live Young Now on Facebook for more healthy living young tips! 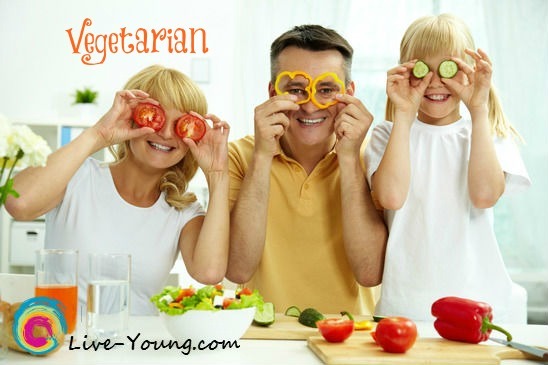 What foods do you visualize when you hear the word “vegetarian”? Is it broccoli, nuts or beans? A vegetarian is someone who lives on a diet of grains, pulses, nuts, seeds, vegetables and fruits with, or without, the use of dairy products and eggs. A vegetarian does not eat meat, poultry, game fish, shellfish or crustacea, or by-products of slaughter. Vegan is a plant-based diet avoiding all animal foods such as meat, dairy, eggs and honey – as well as products like leather and any tested on animals.